Why not keep it real and demote yourself to a humble Landser for the sake of authenticity? 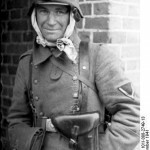 For the WW2 airsofter who wants to put together a German impression the temptation to make yourself anything other than a private soldier is often too hard to resist. Although there are obviously no rules on which ranks you can and can’t portray, what seemed like a good idea when you were filling up your shopping cart at World o’ Insignia doesn’t look so good when you’re in the field as part of an infantry Gruppe which is made up of three NCOs, two captains, a major and a field marshal. Army Group South (as do many other game organisers) insists that players are part of a squad, headed by a squad leader. It becomes complicated (and looks silly) when the player who is giving orders is nominally the lowest rank of anyone there. Why not keep it real and demote yourself to a humble Landser for the sake of authenticity? The term Soldat was generic. 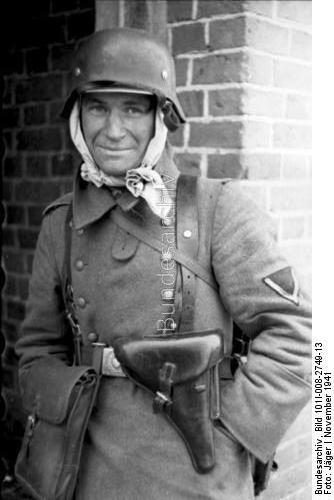 Wehrmacht soldiers had a rank title based on the type of unit they served in or the trade in which they were employed. 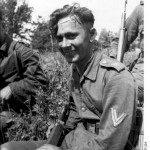 In 1939, an infantry private was called Schütze. 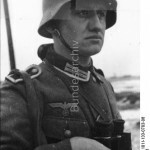 In 1942, Hitler personally replaced the term Schütze with the title Grenadier. 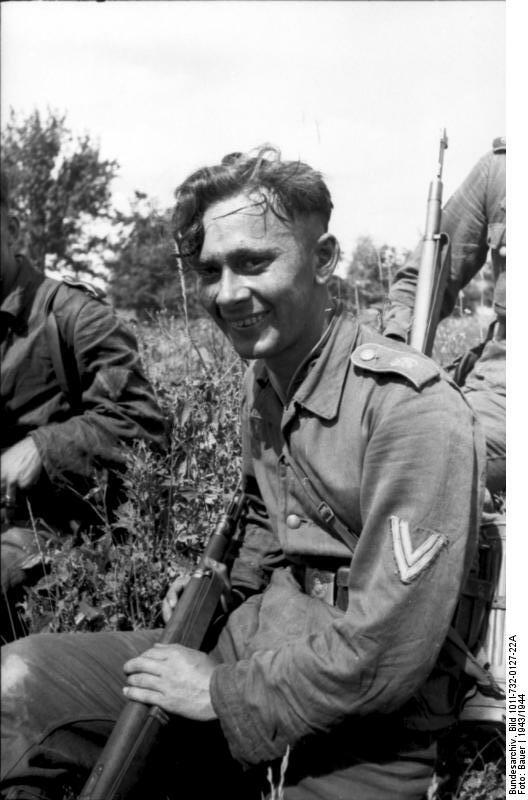 Other titles for infantrymen in certain units included Füsilier and Musketier. This grade was automatic upon one year’s service. 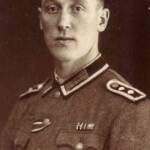 However as most soldiers in the German Army could be expected to reach Gefreiter in less than a year’s time, the conclusion is that anyone being made an Obersoldat probably was not considered a promising soldier. 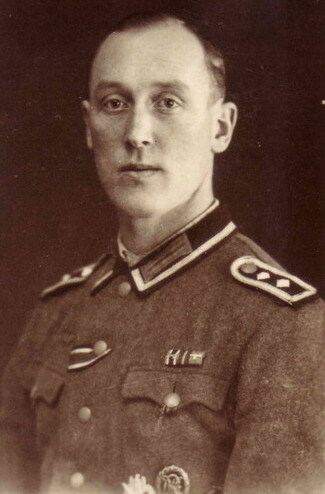 The rank of Gefreiter did not denote a non-commissioned officer in any sense of the word; he had no command authority and the rank he wore represented a raise in pay and little else. After this rank there is no longer such a wide variation of trade names, and the rank of Gefreiter is used by all other trades. 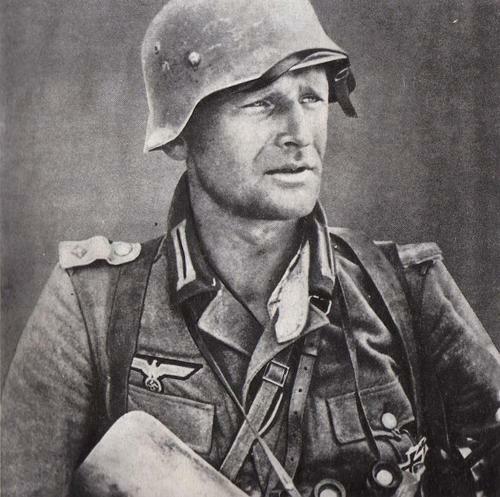 A squad’s MG team was usually led by an Obergefreiter, as was the rifle element. 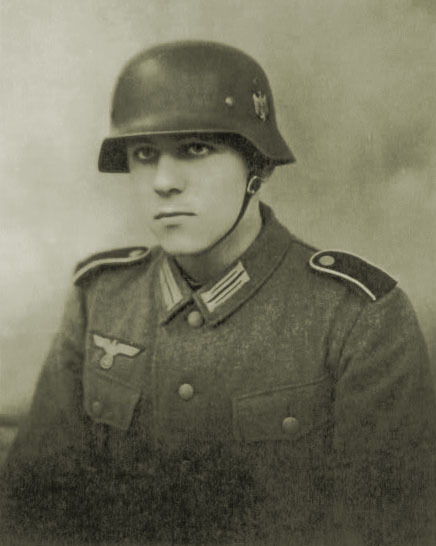 Later in the war Obergefreiters were captured leading much larger units, leading Allied officers to think that their arm stripes represented “Corporals”, however the German military didn’t consider them NCOs. 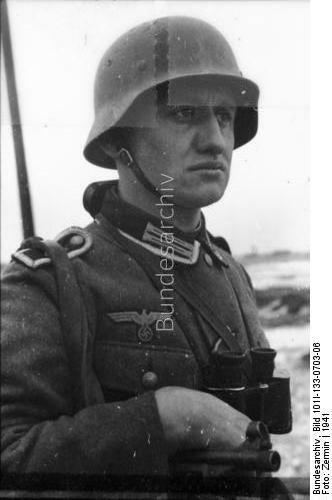 The US Handbook on the German military labeled this rank as “Staff Lance Corporal”, whatever that means. Presumably it was more of a clerical position rather than a combat one. 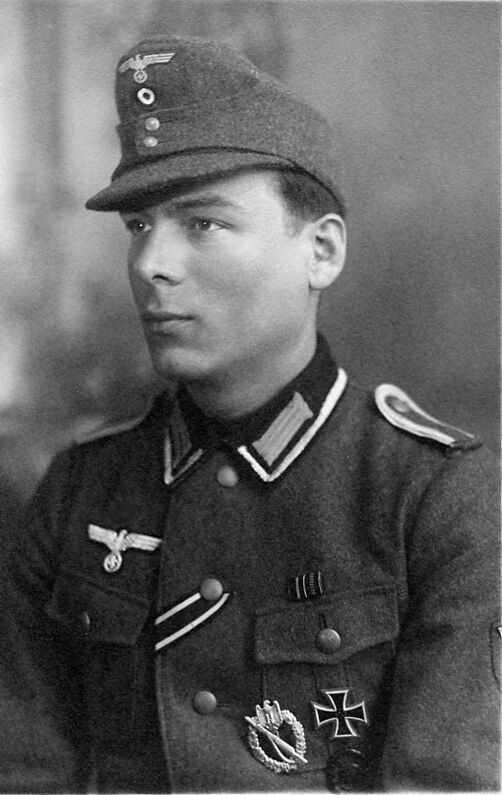 The status of NCO candidates was denoted by the wearing of Tresse loops on their shoulder boards. 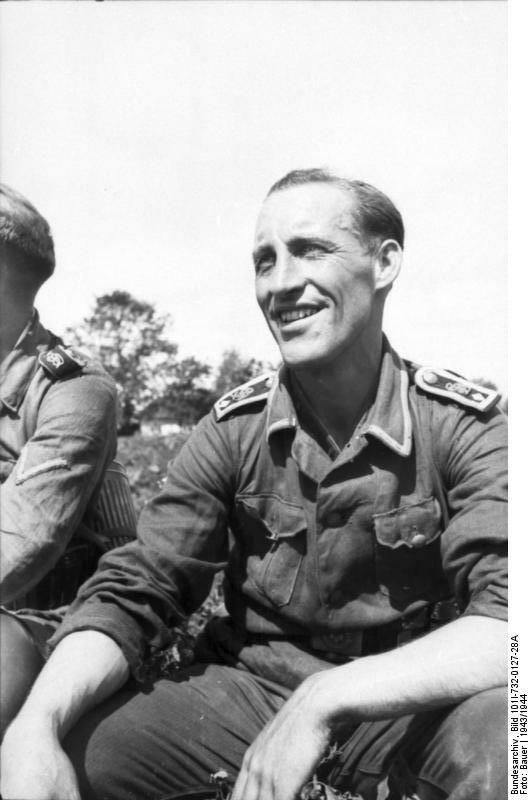 Up until 10 November 1943, NCO candidates were called Unteroffizieranwärter. 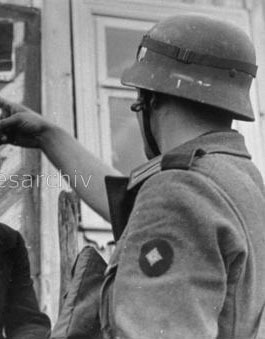 On the 10 November 1943 they were renamed Unteroffizierbewerber (NCO applicants). A Portepee is a decorative sword knot; in many militaries (including the German Army) senior NCOs were distinguished from other ranks by carrying a sword. 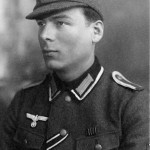 Unteroffiziere ohne Portepee means “NCO without Portepee”, or in other words, those that did not carry swords or wear sword knots. An Unteroffizier was most likely in command of some sort of troop element. 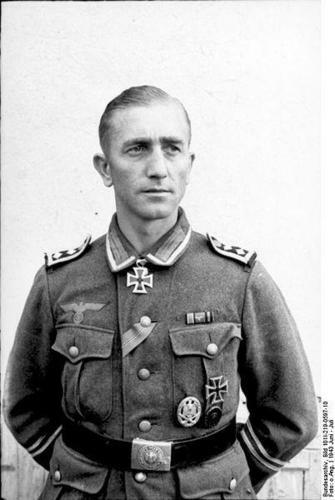 Feldwebels often ended up commanding whole platoons at the loss of officers. At times the German army called for only one officer platoon commander with the other two platoons commanded by Feldwebels or Oberfeldwebels. 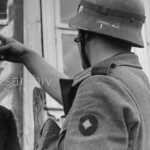 The Stabsfeldwebel rank was generally reserved for those soldiers who had signed on for full enlistments in the Reichsheer, which required a man to serve for 12 years. 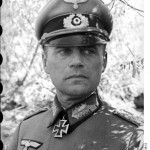 The duties of a Hauptfeldwebel included the administrative tasks necessary to running the company. 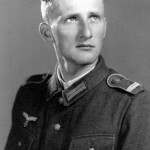 Informally, he was called “der Spiess” (The Spear), in homage to the ancient practice of arming NCOs with edged weapons rather than firearms. 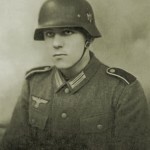 The Hauptfeldwebel was also known as “die Mutter die Kompanie” (Company Mother). 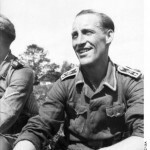 The Hauptfeldwebel was not necessarily the highest ranking NCO in the company. 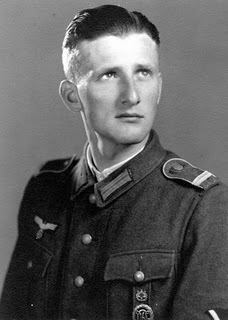 While Oberfeldwebel (or those career soldiers who made it to Stabsfeldwebel) was the standard rank, it was not a prerequisite and there is photographic evidence of soldiers ranked as low as Unteroffizier performing the duties of Hauptfeldwebel. 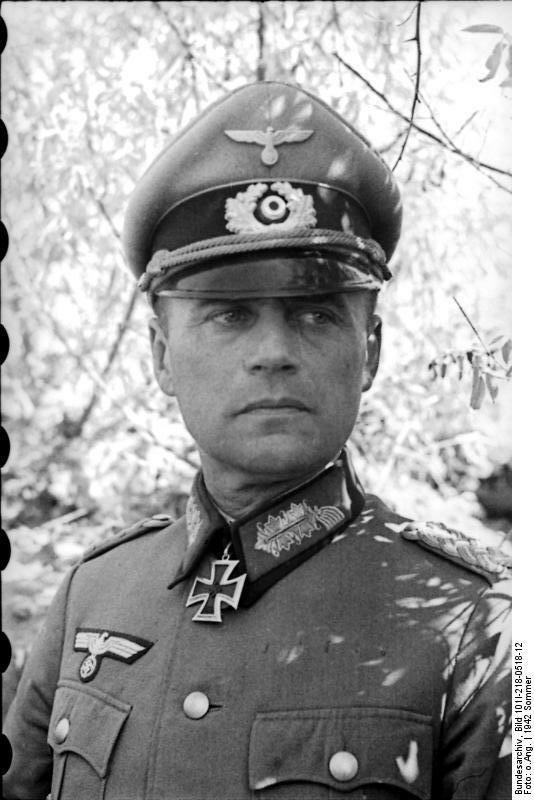 The Hauptfeldwebel led the company headquarters and supply troops, supervising discipline and all work done in the company rear. He also set up a company writing room, and oversaw all paperwork in the company, including reports, incoming orders, promotions, inventories, etc. He maintained each company soldier’s Soldbuch, and co-ordinated all incoming messages from home from inquiries by civil authorities to daily mail deliveries. He maintained the rotation of furloughs and passes, watched over food supplies (including the Company canteen) and rest facilities for the company, and when necessary, in the event of a killed or wounded NCO, could also be called upon to lead a platoon-sized subunit. 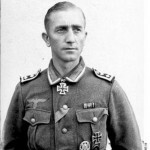 As a sign of his status, the uniform of a Hauptfeldwebel wore two rows of Tresse around the cuffs; this was seen both on the field blouse and on the greatcoat. These rows of braid were referred to in slang as Piston Rings (Kolbenringe). 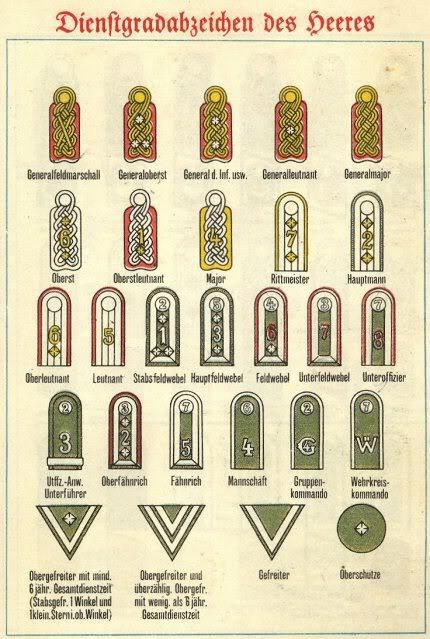 While the US and British armies didn’t draw much of a distinction in everyday conversation between a Second Lieutenant and a Lieutenant, the German Army was very conscious of the distinction and the full rank title “Oberleutnant” was always used.